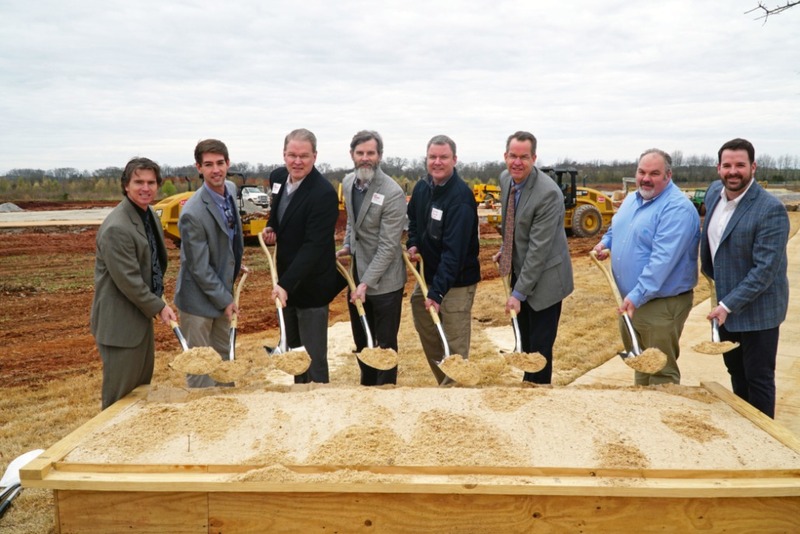 Construction is underway on a pair of BL Harbert projects in Huntsville. Ground was broken this month on Fleming Farms, a senior housing community, and 8800 Redstone Gateway, an office development. Fleming Farms, on Whitesburg Drive, will support the needs of a wide range of seniors from independent living and assisted living to memory care. The facility offers 183 open-concept apartment homes with modern appliances, ample storage and high-end fixtures and finishes. Amenities include paved walking paths, a fitness center, therapy room, aerobic pool, clubroom, salon/barbershop, bistro and full-service dining. It is developed by Dominion Partners. 8800 Redstone Gateway is a 76,000-square-feet office development located in Redstone Gateway, a mixed-use development being built by Corporate Office Properties Trust and Jim Wilson & Associates just north of Redstone Arsenal’s Gate 9. At the groundbreaking ceremony, the Georgia Teach Research Institute announced it would be one of the main tenants in the new building. Both projects are scheduled for completion in 2020.